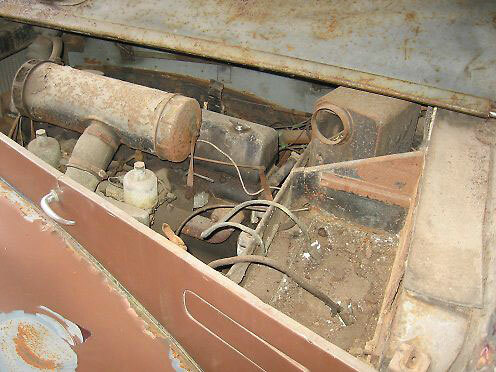 This car needs total (and I mean total) restoration. 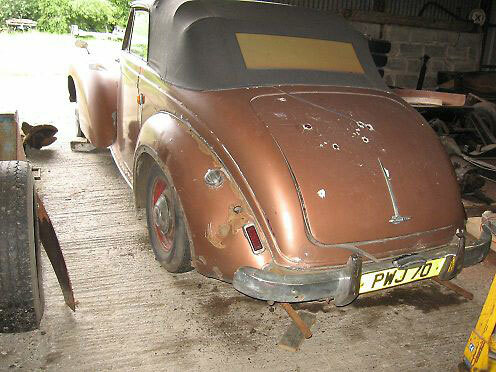 The chassis is generally OK but will need a bit of work around the rear spring hanger. The wings are realisticaaly repairable, but the rear inner wings, boot floor, inner sills and other inner panels are in need of replacement. The timber frame lokks reasonable as far as one can tell without dismantling. Being aluminium, the outer panelwork is generally sound. The engine is siezed, the brakes will need completely replacing as will the tyres of course.I would expect the front suspension to need a full rebuild as well. 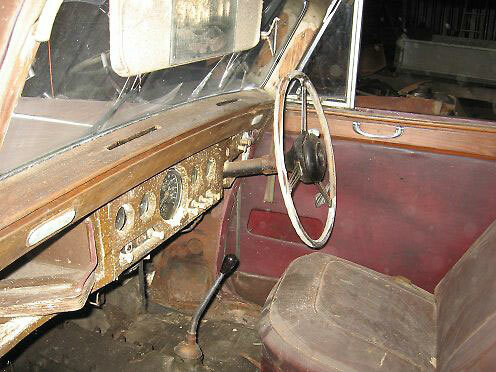 The dashboard is crumbling with woodworm, but good secondhand ones are available. 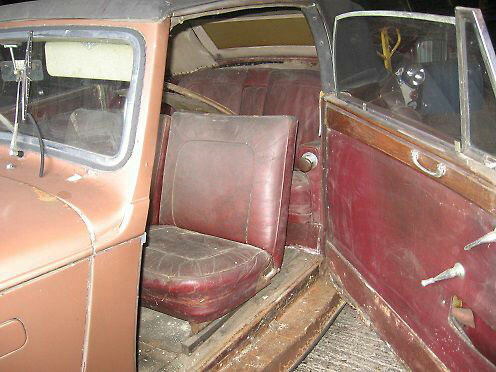 The interior will need a retrim. The one thing in this car’s favour is that it is totally untouched and as found. 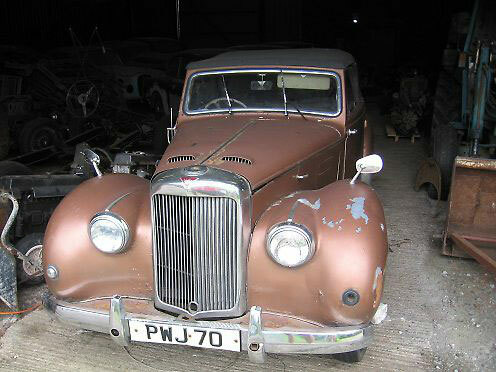 No dismantling or messing around, everything is present and correct, just needing restoration.